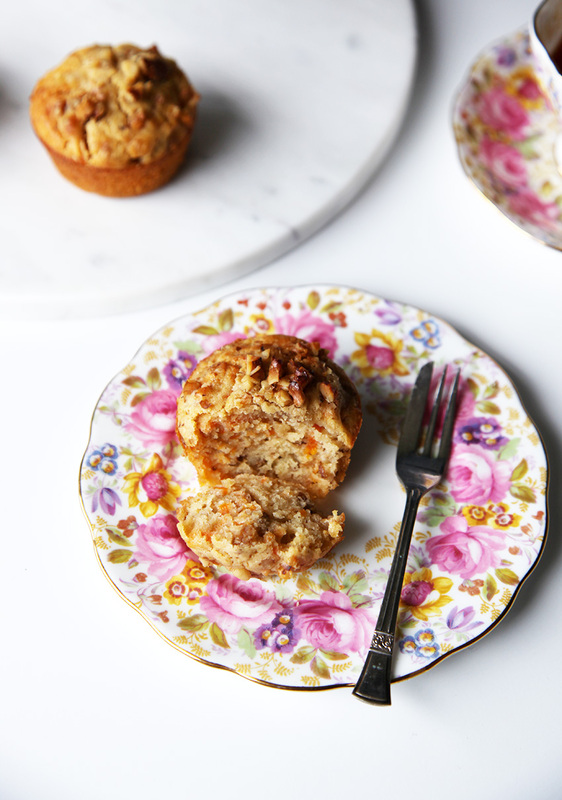 These carrot and walnut muffins are really delicious, and with 2 cups of carrot they are also good for you. I always like to have a batch of muffins in the freezer, they are super handy for lunch boxes or healthy snack on the run. Pre-heat oven to 180 degrees (350 degrees F). Chop the walnuts add to a large bowl with the flour and grated carrot; mix to combine. In a small bowl combine the egg and milk and light whisk with a folk. Add the mixture to dry ingredients along with the butter and honey and stir with a wooden spoon until just combined. Don't over mix or you will end up with a tough muffin! The mixture will make 12 standard muffins plus 12 mini muffins. These look amazing! Perfect fall muffin!! I’m always looking for a good muffin recipe. Can’t wait to try this! I’m definitely adding raisins to my batch! Hi Noel, I would say about 3 months. Mine never last that long though. Raisins would make them extra delicious. Let me know what you think. What a delicious looking and sounding muffin and healthy too! I love muffins with walnuts. They are delicious. I like them with pumpkin or apples. But this sounds amaziiiing. Must try it! These sound delicious! Do you think these could be made with regular all purpose or whole wheat flour instead? Do you know if baking powder or soda needs to be added then? What a yummy recipe. This is just the sort of think my 4 year-old would enjoy. It’s always great when you can sneak the veg into kiddos with a delicious baked good! 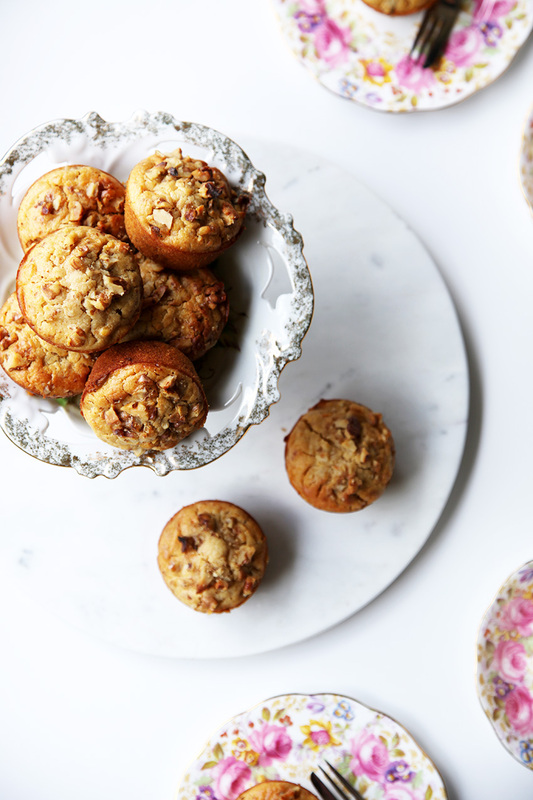 I don’t know what I want more – the muffins or the plates! These are gorgeous! I love your dishes and styling…I want to come over for tea and some muffins! These will be perfect for my busy mornings or as a snack in the afternoon! Look gorgeous!